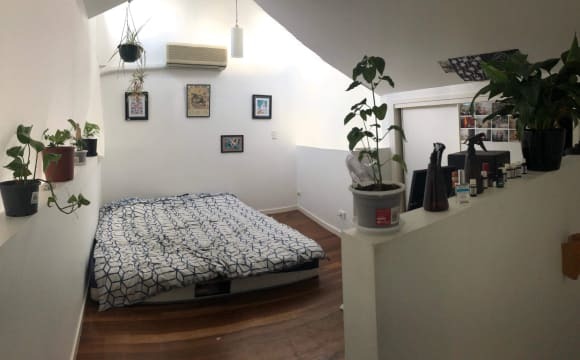 G'day, our current housemate is moving on at the end of the month, so we're renting out the third room in our epic apartment in New Farm! The apartment is situated on the fourth floor, with amazing city views from both (yes there's two) balconies. 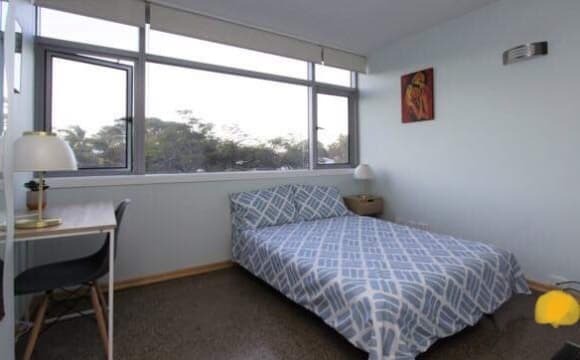 The apartment is a mid 80s style place, very large, with a spacious lounge, good sized functional kitchen, extra dining area, fully equipped laundy, bathroom and lots of shared storage space. 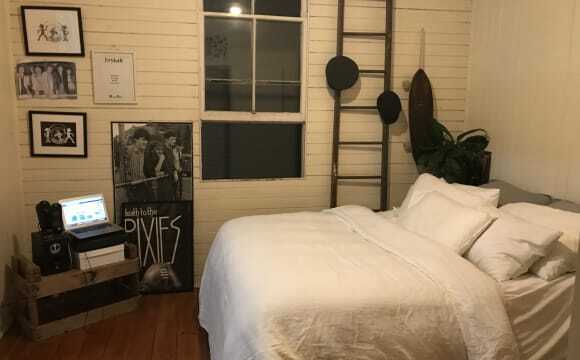 The room doesn't come furnished (photos are with old housemate's stuff), but is large enough to fit a queen sized bed, dresser and small desk. 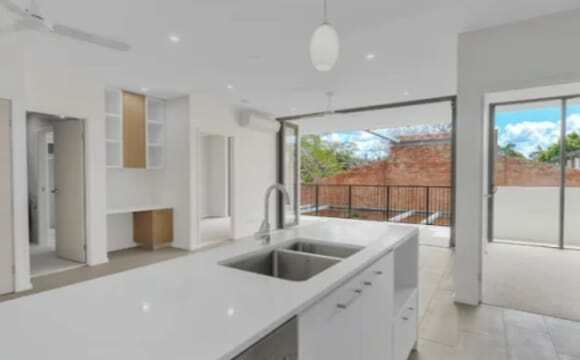 It also has large built in wardrobes that can swallow even the most excessive clothes collection. Couples are welcome but the rent would be $250 ($125 each) if that were the case. Bills are not included in the rent and internet is paid monthly (around $20 each). A great lifestyle created by a pool, a superb breezy river location and unusually large site (3228m2). North-east facing aspect, which means cool in summer and cosy in winter. Building grounds also have spacious lawns, deck chairs, picnic tables and herb gardens. Amazing transport options, amenities and views. Merthyr Park and the Brisbane River are right behind and can be accessed through the building's back gate. Here you will find BBQ, picnic and exercise facilities and river walks. Cinemas, performing art theatres, markets, shops, gyms, sporting facilities and restaurants/cafes are also close. The Citycat, citycycles and free city hopper ferries are right behind and again accessed through the building's back gate. Also bus directly in front with river boardwalk to the city a short block away. Central station in the city is about a 7-minute ferry ride plus a 5 minute walk. Free unlimited-time on-street parking is consistently available, or sometimes off-street basement car spaces can be rented for around $30 a week. 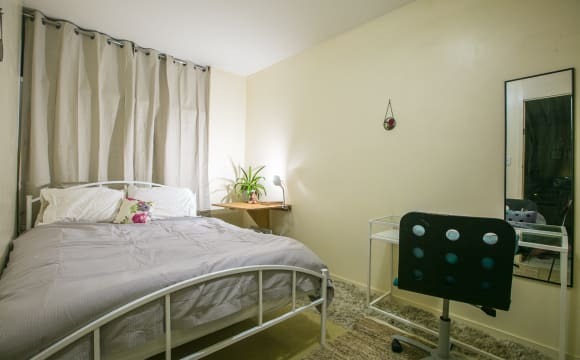 I have a fully furnished medium sized room to rent with a new double bed and other furniture including a fold-down wall desk/bedside table, lamps, stand-alone slim desk, office chair, wall mirror and shelves plus built-in cupboard, Dyson fan and tall skinny stand-alone cupboard. Room is carpeted and has block-out curtains with locking windows and high windows for privacy. 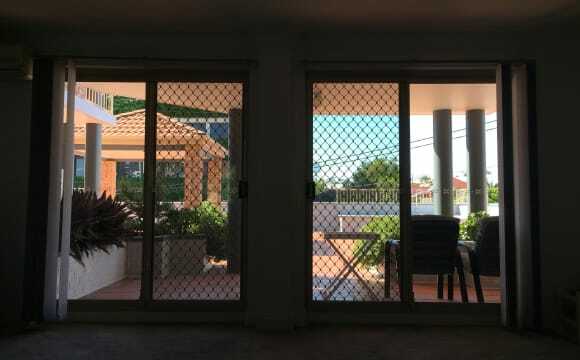 The apartment is in a very quiet, managed secure building with security cameras, fob access to the building and a new crim-safe security screen door. A lot of natural light in communal living area with a beautiful leafy outlook. Tiled communal areas with dining area adjoining the lounge with an extendable roomy dining room table. Plenty of bench and storage space in galley kitchen. Happy to share all kitchen equipment. Other amenities include Smart TV with Netflix etc, gas hotwater and cooking, Airtunes and Bose speakers. Also sheltered compact balcony off lounge with clothes drying rack, small table and seating. Great breezes due to height, aspect and cross-ventilation, so no need for clothes dryer or aircon. River and tree-top views from walkway and kitchen. 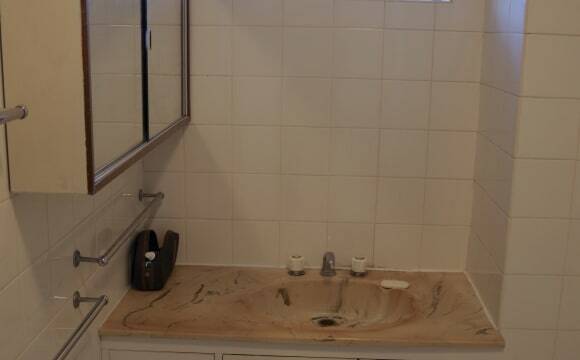 Although it's a shared bathroom arrangement, I'm not a bathroom hog and there is also an additional toilet on the ground floor, handy for when in the garden. Additional storage space available throughout apartment and in basement. NBN internet with 400GB capacity at any time and a landline to make free unlimited local and national calls. Could extend to unlimited internet if required at no extra cost. May suit a house-trained cat. 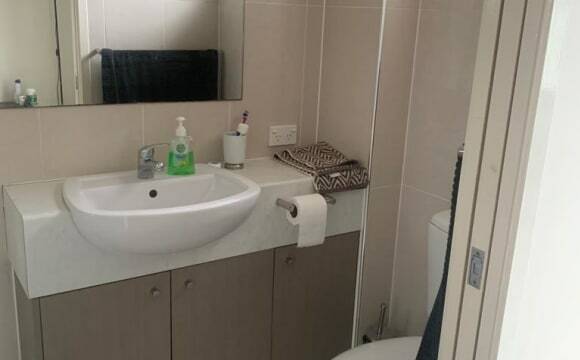 Bills and expenses - An extra $23 per week is charged for the following: power, gas (hotwater and stove/oven/grill), National Broadband 400GB at any time internet, landline rental and unlimited free national and local calls (excluding 1300 numbers), including to mobiles. Also have Netflix subscription on large screen smart tv, Apple Airtunes and Bose powered speakers. BOND IS $800 (NOT $1000) PLUS 4 WEEKS IN ADVANCE $800. MASTER ON SUITE couple $300 single $250. 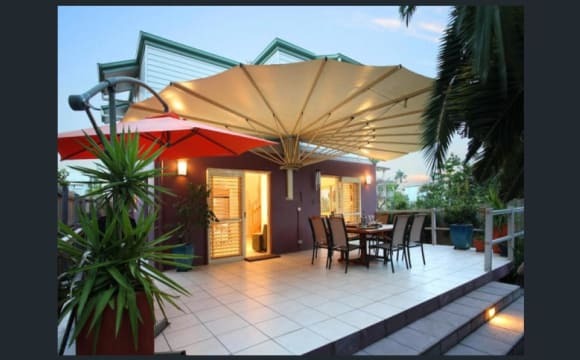 Nice breeze and Great location, 5 min walking to new farm river walk, close to everything you need, cafés, bars, Supermarket, plenty of restaurants options and across the road from the cinema. We are clean and try to keep things well organized. We are workers and like to rest at night during the week but also like socializing a lot during the weekends. So we look for someone who could also become friends with us and do stuff together eventually. Hey guys I am looking for a couple to share the apartment with us. The rent is 145 each, which means 290 for the couple. We are friendly and clean. We love travelling and trying new things. We are also very quiet and study and work all day. :). 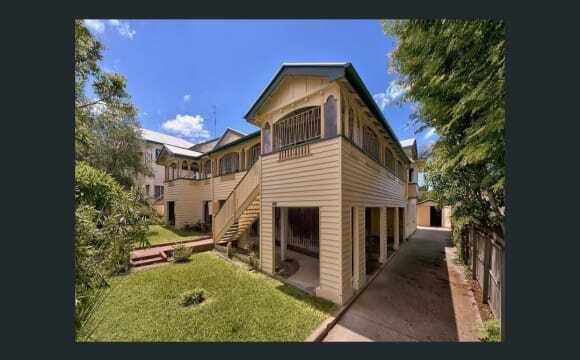 The apartment is in new farm, one of the best parts of Brisbane to live! The free ferry going to the city is just 5 minutes walking from here. And we have a bus stop in front of the apartment. 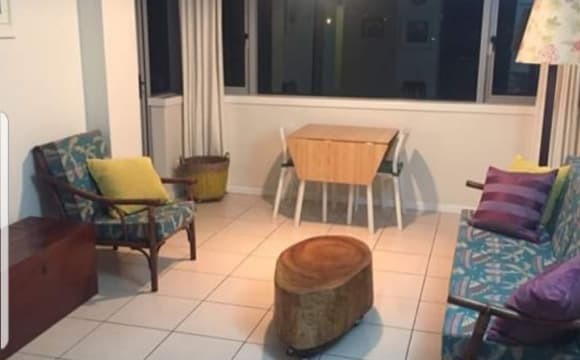 LEASE BREAK- MODERN FULLY FURNISHED APARTMENT IN KINGFISHER NEW FARM – BRISBANE CITY 19/75 Barker Street, New Farm, QLD 4005 500$pw 1 bed1 bath 1 car Located in a prime position in central New Farm with easy access to public transport, cafes and all the urban amenities New Farm has to offer. This quite new apartment is fully beautifully furnished. Presented in an excellent condition throughout. Configured as one bed with separate study, huge galley kitchen and combined open plan lounge/dining area. 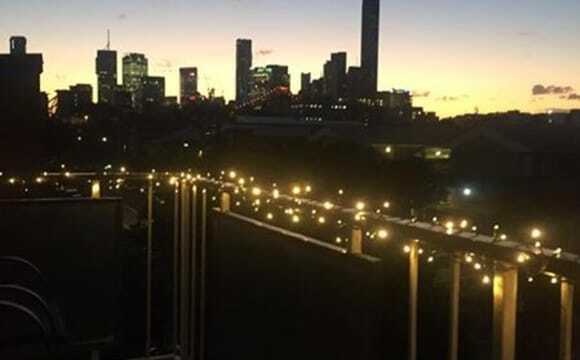 The balcony offers commanding views across to the Story Bridge and around the city skyline. A lot of natural light, very bright and cozy place for living. Ideal for couple who looking for nice and quiet place. Pool in building.